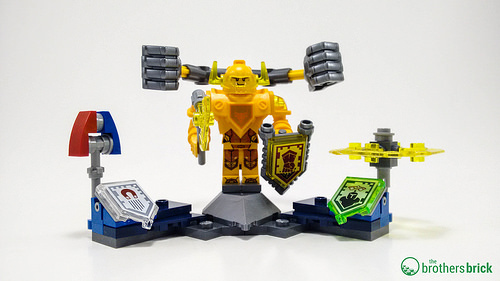 We’ve gotten our hands on the latest wave of Nexo Knights sets, so we’ll be reviewing them over the coming week, starting with the four new “Ultimate” figure sets: 70336 Ultimate Axl, 70337 Ultimate Lance, 70338 Ultimate General Magmar, and 70339 Ultimate Flama. Each of these four sets retails for $10 USD, and includes a figure and a load of accessories. First up is 70336: Ultimate Axl, officially available beginning August 1. 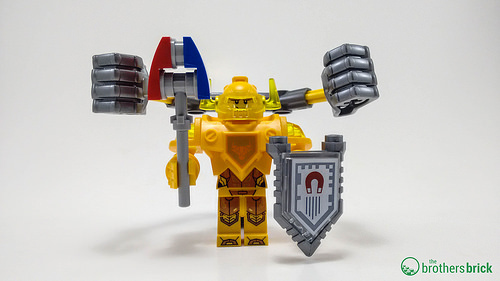 When the special Axl minifigure was revealed to only be available in the most expensive set of the first Nexo Knights wave (70317-1: The Fortrex), many fans were disappointed at the high price to get him. 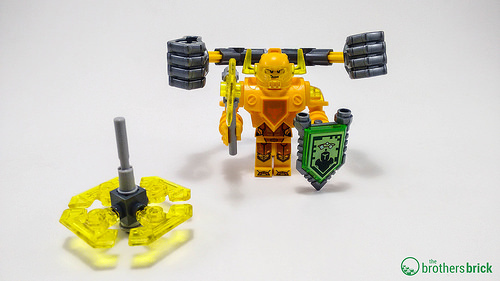 While Axl will soon also be available in the slightly cheaper 70322: Axl’s Tower Carrier, they are both very large sets, so he remains one of the more elusive Nexo Knights. Luckily, he is available on his own in this set. Unluckily, it’s not the same version. 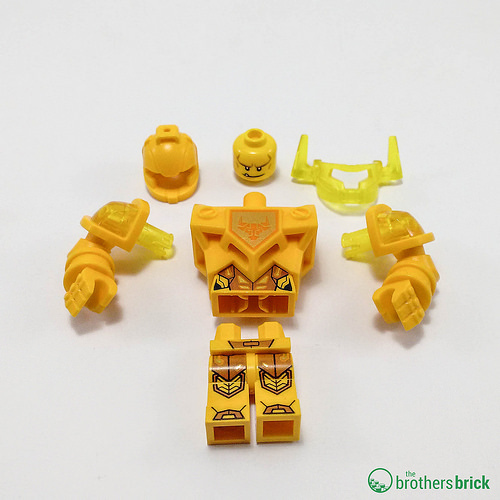 This version of the character can only be described as “violently yellow.” The figure alone uses various shades of yellow (both opaque and transparent) to creates something that looks subjectively worse than the regular version in the other two sets. 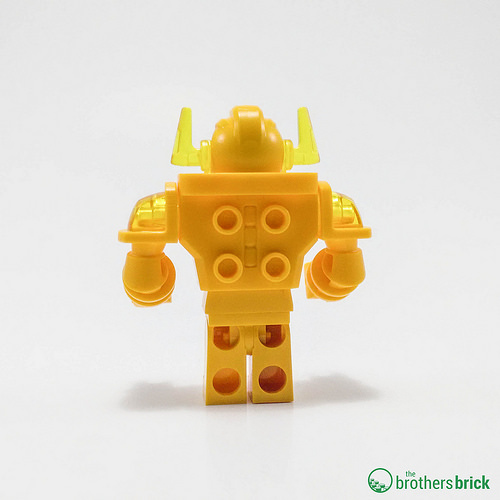 This is a particular sticking point for those looking to get Axl’s beefier pieces to make robot creations, as they’re going to have to be solid yellow. The rest of the pieces in the set are serviceable. 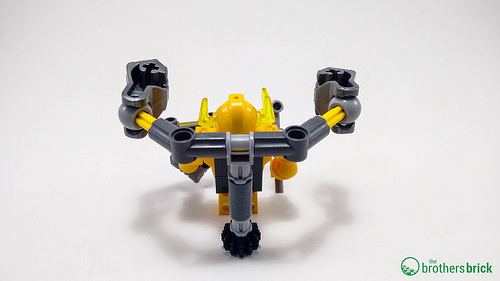 The main build has a pair of punching fists built on his back. It works well for play but there’s no friction in the mechanism, so they swing too loosely. To go with this is a singleblade axe which is much better looking and better proportioned compared to the longer, double sided build of the other two. The magnet stick is very nice and looks like what it’s trying to represent. Finally, the circular blade build was a real surprise. While it could be held in the hand of a figure, it’s meant to be used as a spinner. Place the top on the single circular stud and spin it to represent the attack in the mobile app. 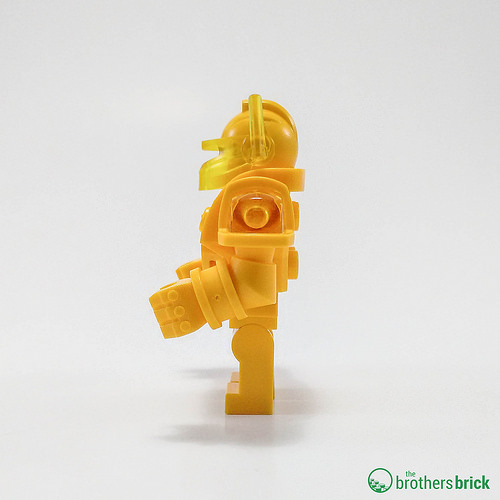 As a parts pack, the highlights here are Axl (if you don’t mind the yellow), and a hand full of circular 1X1 studs with holes. 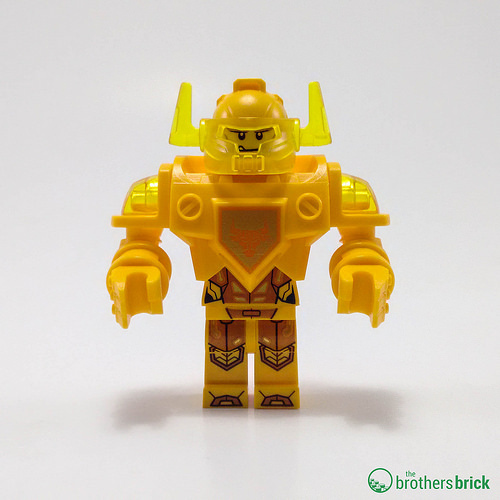 There’s also one of the silver spike pieces which is mostly bound to the Nexo Knights theme at the moment, and will be appearing soon in this summer’s Ninjago sets. 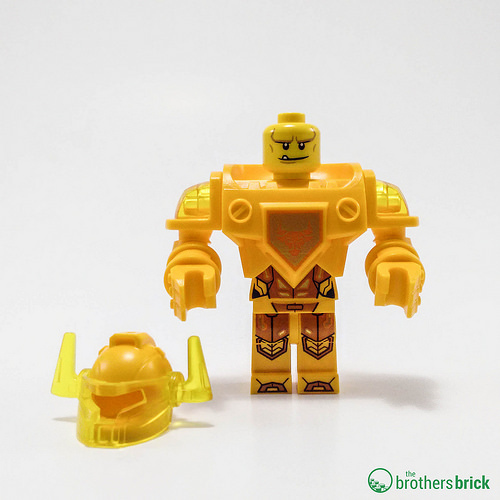 For kids, I think this is the best of the lot of the Ultimate subtheme because the “minifigure” is so large. If you’ve wanted to get an Axl character, and didn’t want to pay up for The Fortrex, this is a good way to go.